Description: The class unit of B&Os President series of engines is at the B&O Museum with another engine tied on behind. Description: No, not the Gilber Stuart painting youre familiar with. 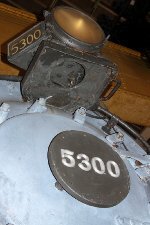 This is one of B&Os P class Pacifics at the B&O Museum. Description: Also known as "President Washington"
Description: Todd reads all about it. 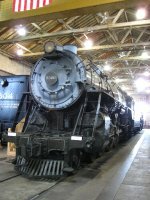 Description: The B&O P7s were among the most asthetically pleasing steam locomotives, IMO. 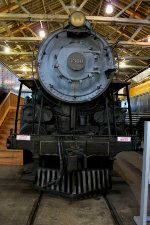 Description: One of B&O's P5 class Pacifics, the President Washington. Description: Built in February, 1927 by the Baldwin Locomotive Works, it carried the name "President Washington". 20 other Pacifics carried the names of the 20 presidents after Washington. This is the only President Class to be saved from scrapping.